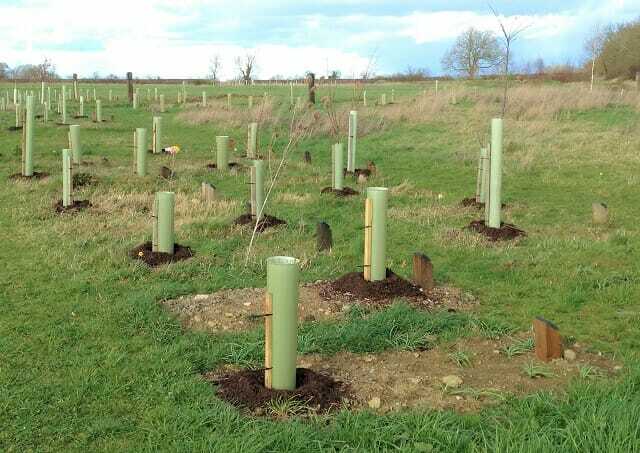 With the excellent and hugely appreciated hard work of some 25 volunteers, on Sunday some 700 little trees were given their springtime mulching. In gusts of wild wind, with moments of sleet and hail, as well as very welcome sunshine, large bags of composted bark were brought down from the top car park to where small teams were making perfect ‘doughnuts’ around each tree. 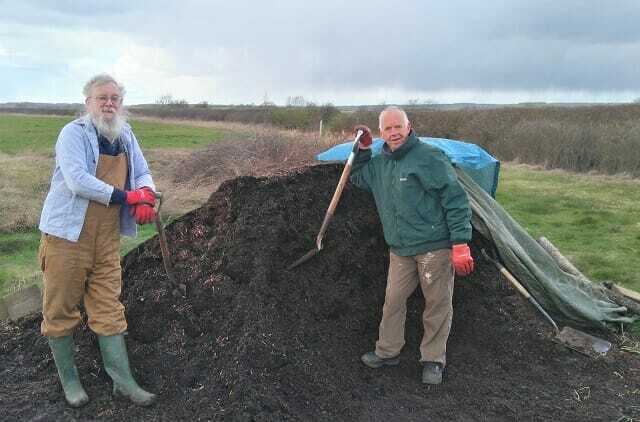 Composted Bark Heap with Volunteers Hard at Work! The bark has two key functions: it helps to retain moisture in the soil around the tree roots, which is especially important during periods of drought and drying wind, and it helps to suppress the growth of grasses and other plants that would compete with the little tree. You can see a photo of a mulched tree on our Memorials page. We only mulch the younger trees. Once a tree is old enough, there’s not much competing vegetation, and its roots are much deeper down in the soil. In the process of mulching, some little bulbs and other plants have been covered up – but don’t worry, they’ll find their way up into the light again. 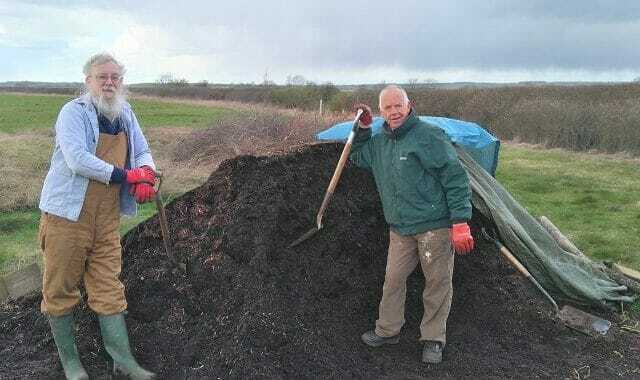 f you have any queries about the mulching, do ask.